Breast augmentation can give women with small or unevenly sized breasts a fuller, firmer, better-proportioned look through the placement of implants in the breasts. Women may elect to undergo augmentation for many different medical and aesthetic motivations, including balancing breast size and compensating for reduced breast mass after pregnancy or surgery. The procedure may be combined with others such as a breast lift for more satisfying results. We offer both silicone and saline implants. Saline implants are silicone shells filled with salt water, which are placed behind each breast, underneath either breast tissue or the chest wall muscle. Silicone gel breast implants are known for producing soft and natural looking results. After surgery, the patient’s bustline may be increased by one or more cup sizes, depending on the patient's desired result. Breast Augmentation Weston by the only female plastic surgeon. Dr. Faierman uses the Keller Funnel for all of her breast augmentation procedures to ensure the most sterile and safest placement of the implant. 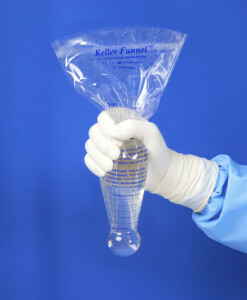 The Keller Funnel allows Dr. Faierman to place silicone gel implants quickly and efficiently. For more information on the Keller Funnel, or to learn more about Dr. Faeirman's breast augmentation services, please call (954) 322-2742 today to schedule your initial consultation.